PUSHING his belongings in front of him, Tony Mangan was on a rest day as he headed for Dalby. Leaving Bowenville last Saturday morning and arriving in Dalby just before lunch, Mr Mangan was enjoying one of the shortest treks on his round-the-world journey. 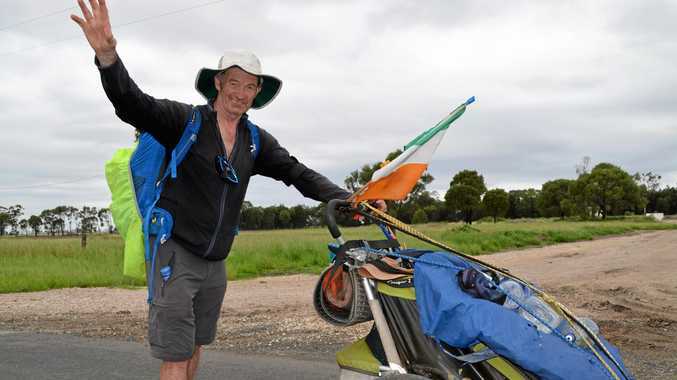 The Irishman is walking from Toowoomba to Darwin, in an effort to walk around the world. He has already completed the Australian continent on his trek, when he walked from Perth to Sydney last year. From there he chose to walk to Toowoomba before spending his summer trekking across New Zealand. The Irishman returned to Toowoomba on Wednesday, February 28, commence his walk to Darwin. It is a feat he has already accomplished, albeit he cycled and then ran, and he said he did it for the pure love of adventure. "I love travelling and I love slow-mo travelling," he said. "I have no time for somebody getting on a motorcycle and zooming off, talking about getting to Mongolia from Europe in two weeks and back in three weeks." Mr Mangan began this walk in his hometown of Dublin on January 27, 2016. He entered his third year of the walk in his 16th pair of shoes. The trek has taken him across Europe, through Russia, Mongolia, China, Vietnam, New Zealand and Australia. The notion to walk around the world came after he cycled and ran around it earlier this decade. "When I was younger, I cycled around the world, then I started running marathons... I found the marathon was a little to short. "During training I just got the crazy notion I would like to run around the world. "I wrote two books... and then put down the pen and, though I did achieve plan A which was to run around the world, plan B was to walk so I thought there was nothing wrong with that. 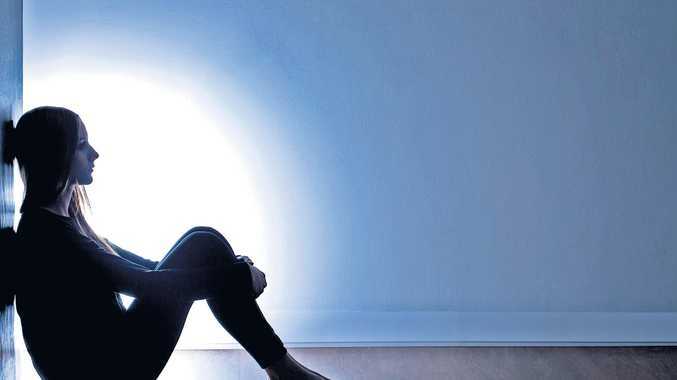 "I am enjoying plan B more." While the walk is for pleasure, Mr Mangan is spreading the awareness of cancer screening. He said he was not raising money for charity but wanted everyone to be aware of the importance of getting a regular cancer screening. "The cancer awareness message is, life is precious every cancer screening saves lives." Mr Mangan's next stopis Miles and he said he looked forward to arriving in Mt Isa, where a celebration has been planned. He said once he had reached Darwin, he would return to Asia to explore different countries before setting his sights on his next continent, North America.